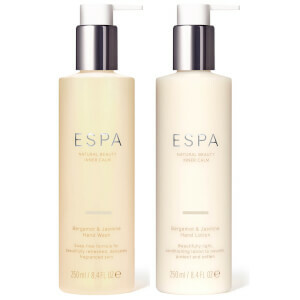 A beautifully light conditioning lotion to nourish, protect and soften hands, nail and cuticles Infused with a luxurious blend of pure essential oils including Bergamot and Jasmine, to leave the skin delicately fragranced and beautifully soft. Use daily, as and when required. 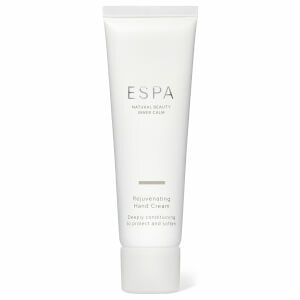 Massage into hands, nails and cuticles until fully absorbed. To intensify results, use after Bergamot and Jasmine Hand Wash.
Water (Aqua), Isopropyl Palmitate, Caprylic/Capric Triglyceride, Prunus Amygdalus Dulcis (Sweet Almond) Oil, Cetearyl Alcohol, Glycerin, Butyrospermum Parkii (Shea) Butter, Silica, Limonene, Panthenol, Phenoxyethanol, C12-16 Alcohols, Citrus Aurantium Dulcis (Orange) Peel Oil, Glyceryl Stearate SE, Sucrose Cocoate, Palmitic Acid, Xanthan Gum, Lecithin, Sodium Benzoate, Citrus Aurantium Bergamia (Bergamot) Fruit Oil, Citrus Limon (Lemon) Peel Oil, Sclerotium Gum, Benzoic Acid, Citrus Aurantifolia (Lime) Oil, Juniperus Mexicana Oil, Lavandula Hybrida Oil, Myristica Fragrans (Nutmeg) Kernel Oil, Dehydroacetic Acid, Linalool, Abies Sibirica Oil, Cupressus Sempervirens Oil, Eucalyptus Globulus Leaf Oil, Litsea Cubeba Fruit Oil, Mentha Arvensis Leaf Oil, Phytic Acid, Zingiber Officinale (Ginger) Root Oil, Citral, Sodium Hydroxide, Ethylhexylglycerin, Cupressus Sempervirens Leaf Oil, Cymbopogon Nardus (Citronella) Oil, Melaleuca Alternifolia (Tea Tree) Leaf Oil, Myrocarpus Fastigiatus Oil, Pogostemon Cablin Leaf Oil, Geraniol, Tocopherol, Cistus Ladaniferus Oil, Dipteryx Odorata Seed Extract, Ferula Galbaniflua (Galbanum) Resin Oil, Fucus Vesiculosus Extract, Jasminum Officinale (Jasmine) Flower Extract, Lavandula Angustifolia (Lavender) Flower Extract. gorgeous texture and smell, but immediately after applying this cream, the skin of the hands becomes flaky and dry. 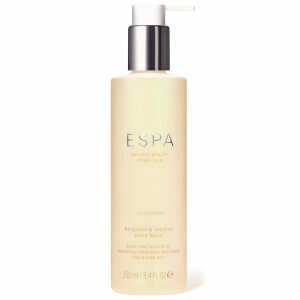 This is a beautifully scented light lotion that glides on to the skin making you feel nourished. The lotion melts away easily so no need to rub in. The scent is exquisite and encapsulates you in a bergamot and jasmine. You are immersed in calm and serenity. Really makes you feel special. Highly recommend! Love the smell of this lotion and it feels more moisturising than most without being greasy. Only one thing products I've purchased before were packed really nicely in purple boxes with shredded tissue. This most recent purchase just looked like it had been thrown in the box with a chunk of corrugated paper. The new branding is nice but not as luxuriant. East to navigate website. Simple checkout procedure and goods arrived very well packaged, very quickly.